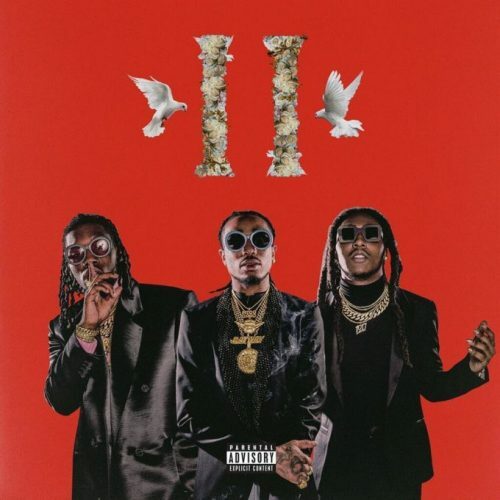 Migos’ highly anticipated new studio album Culture II is finally out! The project comes with 24 songs and guest appearances from Drake, Big Sean, Post Malone, 21 Savage, 2 Chainz, Travis Scott, Ty Dolla $ign, Gucci Mane, Nicki Minaj and Cardi B. Once again, MIGOS surpasses its previous production to the one of this new album Culture II, that can say that it will be a success more. Considering that this is his third album that contains 24 tracks, nobody can deny the talents of this group of rappers in new hip hop albums. For some reason, I am a faithful follower of this group. With an album n. 1 and a single number one in “Bad and Boujee”, Migos was reestablished as one of the main commercial force right now, it can easily be considered the most popular rap group in the American market. Culture II is a sequel that follows in all respects previous works: the same themes (catching, exotic cars, sumptuous designer fashions and expensive watches of famous brands, doing everything for the culture), with equal song structures. .